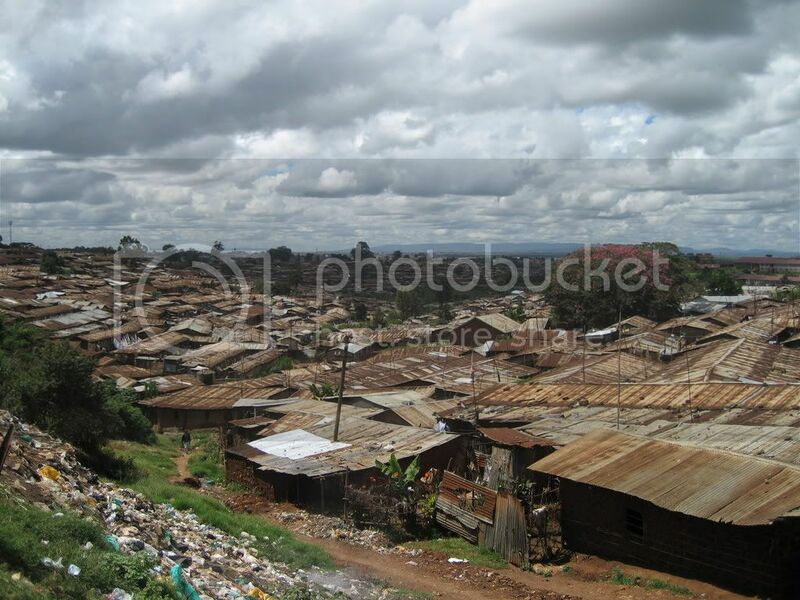 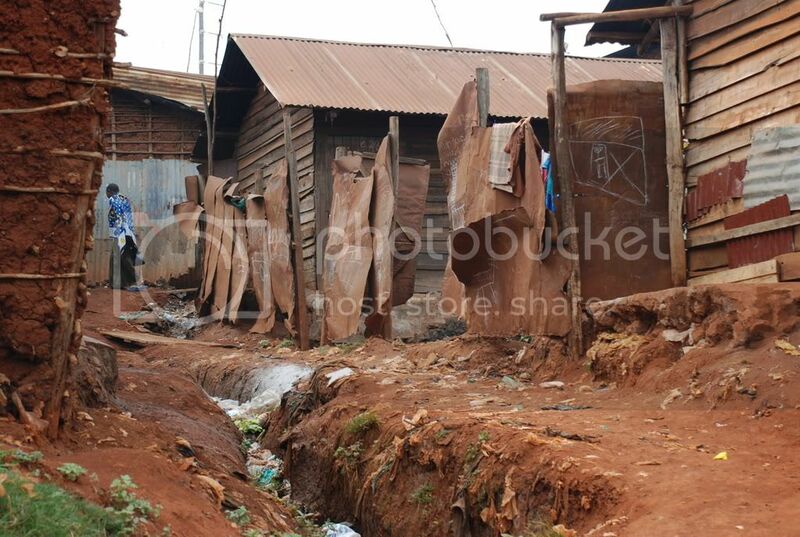 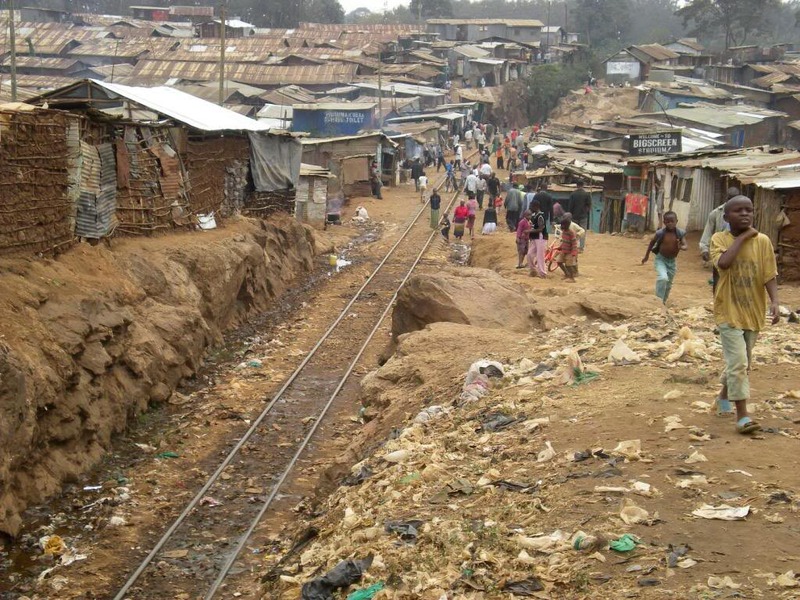 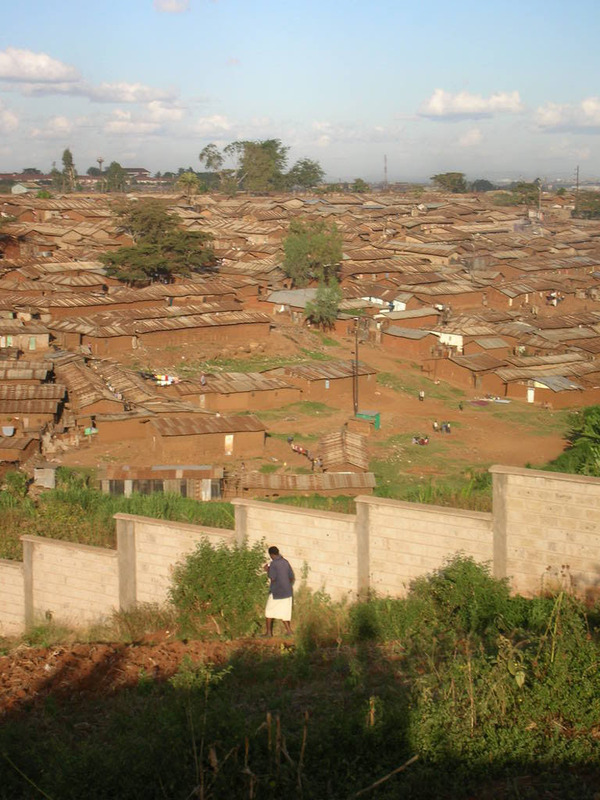 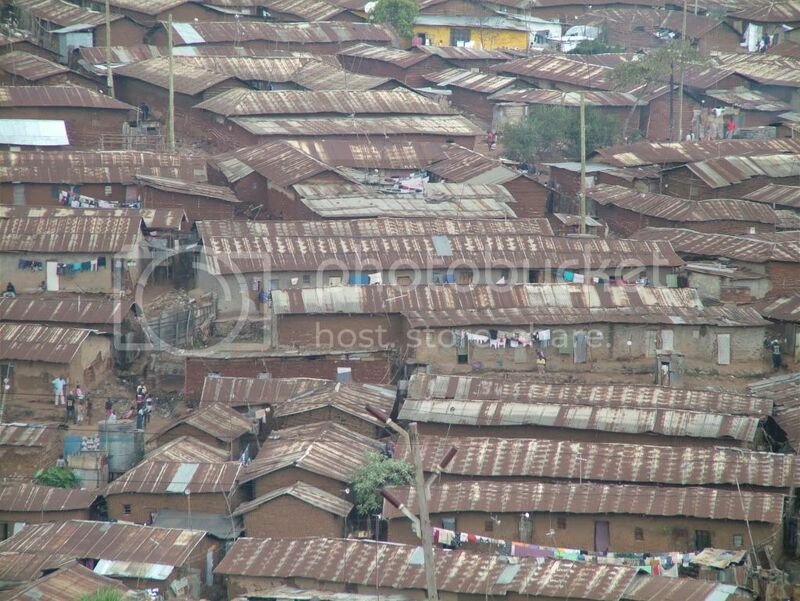 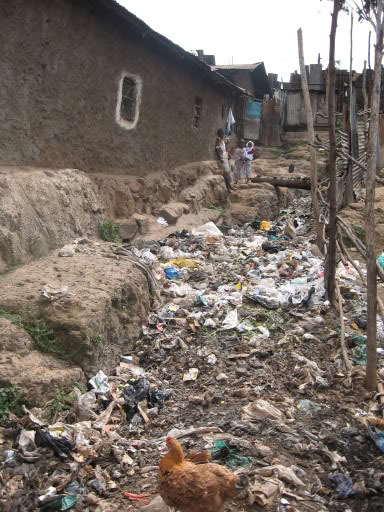 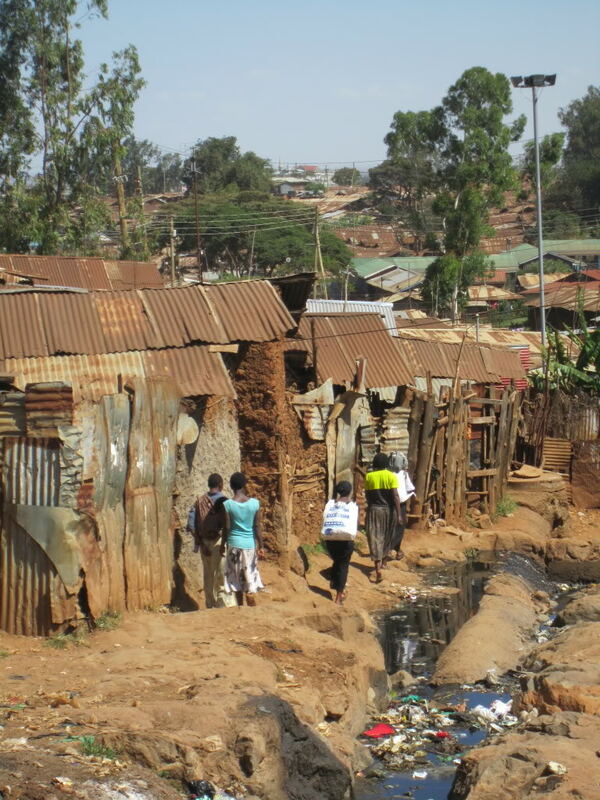 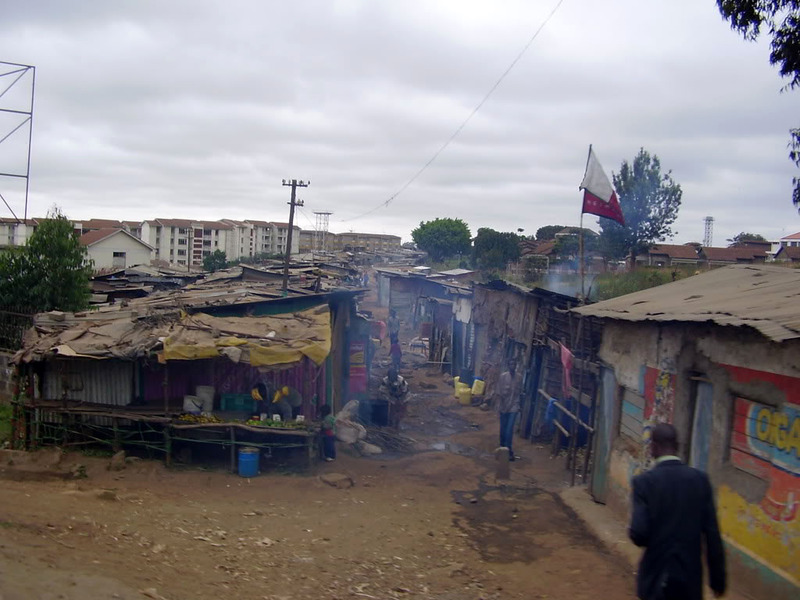 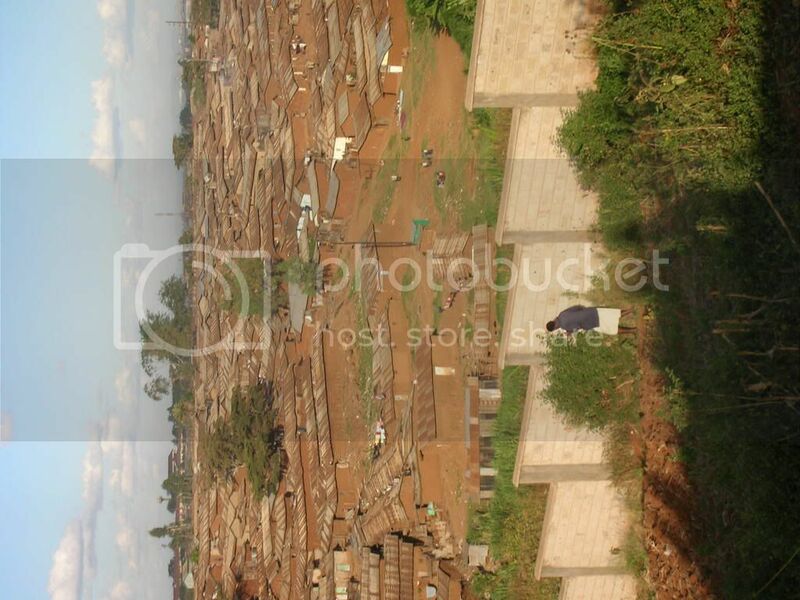 Kibera is the biggest slum in Kenya only 5 kilometres from the Nairobi city centre and second largest slum in Africa. 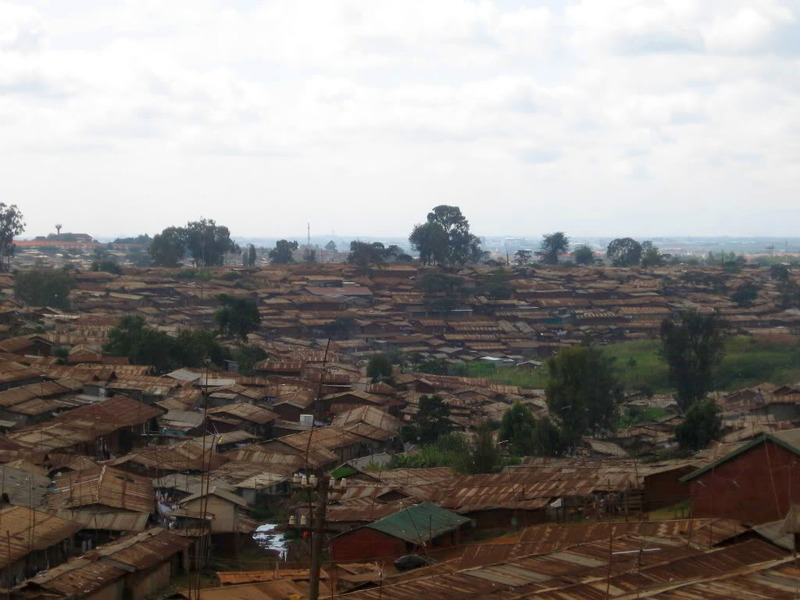 Kibera houses almost 1 million of people. 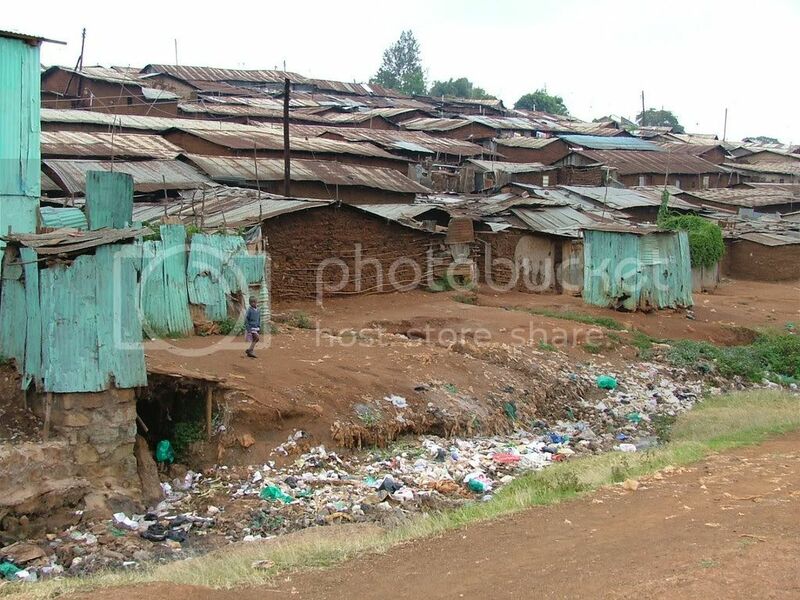 They occupying just 6% of the land of Nairobi but representing 60% of the city population. 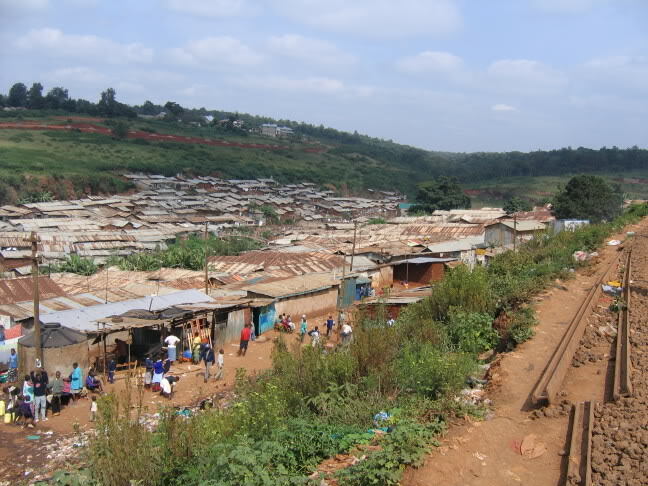 The average size of shack is 12ft x 12ft built with mud walls, screened with concrete, a corrugated tin roof, dirt or concrete floor. One side of Kibera parallels the railroad tracks, the other is bordered by stores in corrugated metal, barrels pounded flat.